When families face legal issues that must be resolved in family court, they are likely to experience a great deal of uncertainty and stress as they worry about what to expect and the legal requirements that they must meet. Since decisions made in family court can affect families' lives for years to come, it is essential to have a knowledgeable, experienced attorney on your side to protect your rights and advocate for your best interests. 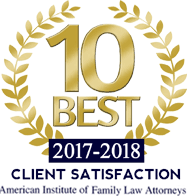 At Swearingen Law Offices, we believe in the importance of educating our clients about Illinois' family law statutes and helping them understand what to expect throughout the legal process. We will explain the laws to you and answer your questions, ensuring that you are able to make the right decisions as you move forward with your case. Some law firms take a team-based approach to family law, but in practice, this often means that their clients do not know exactly who they will be working with on any given day or whether that person has knowledge of their case. When you hire Attorney Brad Swearingen, you can be sure that you will have a single attorney working with you from the beginning to the end of the legal process, giving you the confidence you need to address the challenges you face. Helping establish paternity, ensuring that children will have the financial support they need and the relationship they deserve with both their parents. Assisting couples with the creation and execution of valid, enforceable prenuptial agreements. Acting as a guardian ad litem who represents children and protects their best interests in divorce and family law cases. Helping victims of domestic violence obtain an order of protection that will provide them with safety from harm by abusers or harassers. Representing people who are being investigated by the Department of Children and Family Services (DCFS). Assisting family members and caretakers with establishing legal guardianship of the people in their care. Attorney Brad Swearingen has more than 38 years of experience in family law, including representing clients in family court and acting as a court-appointed divorce mediator and court-appointed guardian ad litem. As you work to achieve your goals, we will ensure that you are treated with professionalism and respect while protecting your rights and advocating for your family's best interests. Contact a Kane County family lawyer at 630-896-8881 to schedule a consultation. We serve clients in Aurora, Batavia, Montgomery, Naperville, and throughout Kane County, DuPage County, and Kendall County.